Trade Paperback/Paperback, Integral Foundations ed. Looking at the overarching story of the Bible, Mark Galpin demonstrates the inter-connectedness of the whole of Scripture from Genesis to Revelation and the holistic and integral nature of the mission of God. Understanding this story enables us to interpret individual passages in the light of the whole Biblical narrative, and is key to deepening our engagement with God's Word and God's World. 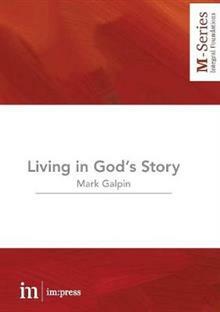 Mark Galpin is a tutor at All Nations Christian College in the UK where he teaches poverty & justice studies and leadership. A former Executive Director of United Mission to Nepal (UMN) based in Kathmandu, Mark has a background in community development and a PhD in Agricultural systems. He has worked in a range of roles in community development and peace-making in both Nepal and E. Africa. Mark currently chairs the Integral Mission Forum in the United Kingdom.